Thanks to everyone involved; our Cancer Council fundraiser has added a further $7000 to the previous total, from the 9 days of the tea cosy display at the Warratina Lavender Farm. 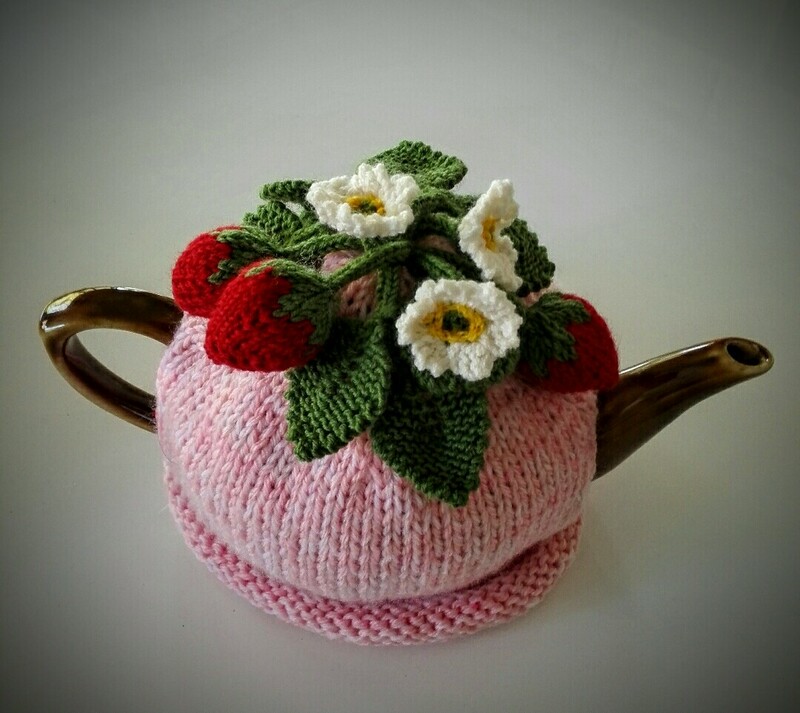 Since we began the Tea Cosy Competition in 2014; we've raised $20,000 for the Cancer Council. Over $9000 has been raised since October 2015. Go to https://my-own-way.everydayhero.com.au/craftacure. 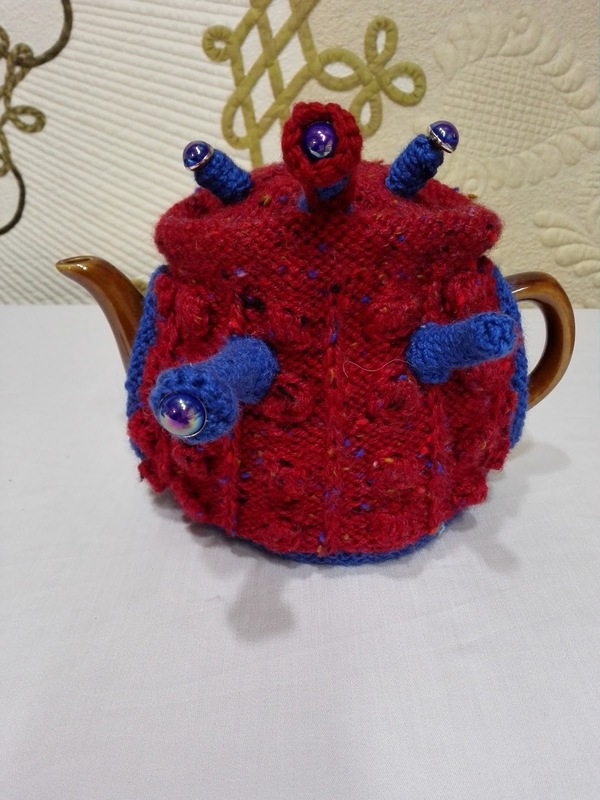 The winner of the 'Best Tea Cosy' was this very well made, and exceptionally imaginative cosy by Kay Whitney, featuring the frog couple, Lily and Leroy. In second place, is this cosy by Angela Leung. 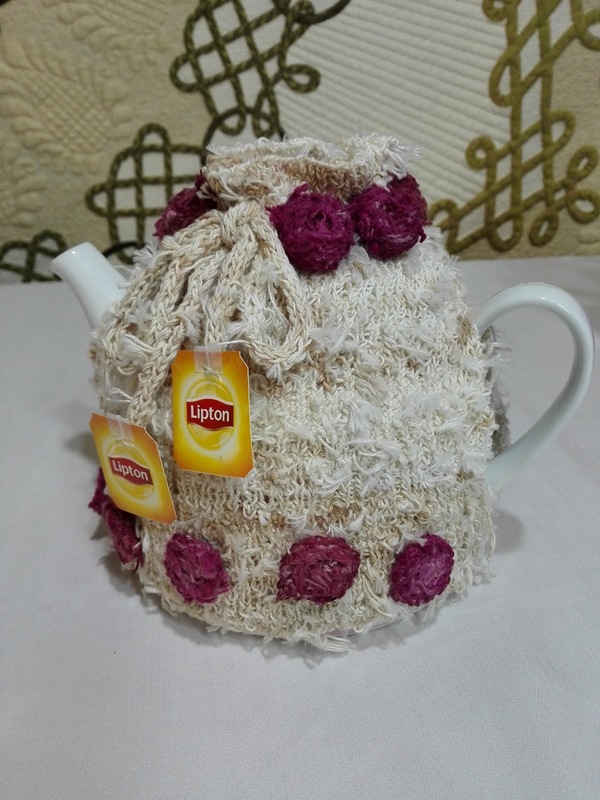 Angela collected 2600 tea bag strings; she tied them together, and knitted them into this cute little cosy. The red flowers were made by dyeing the strings with beetroot. In third place is the peacock by Marianne Alcock. 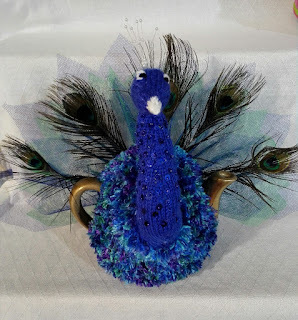 He is beautiful; and not only did he win the judges vote for third place; he came second in the people's choice vote. 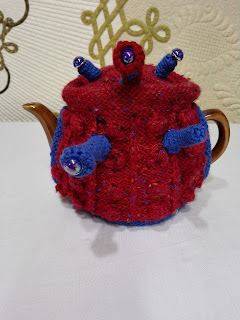 The Dalek by Janet Gilbert won the prize for the best toy or tea cosy in a sci-fi theme. The soft toy prize was won by sisters, Brooke and Laura Driessen, with this selection of little dinosaurs and unipigs. 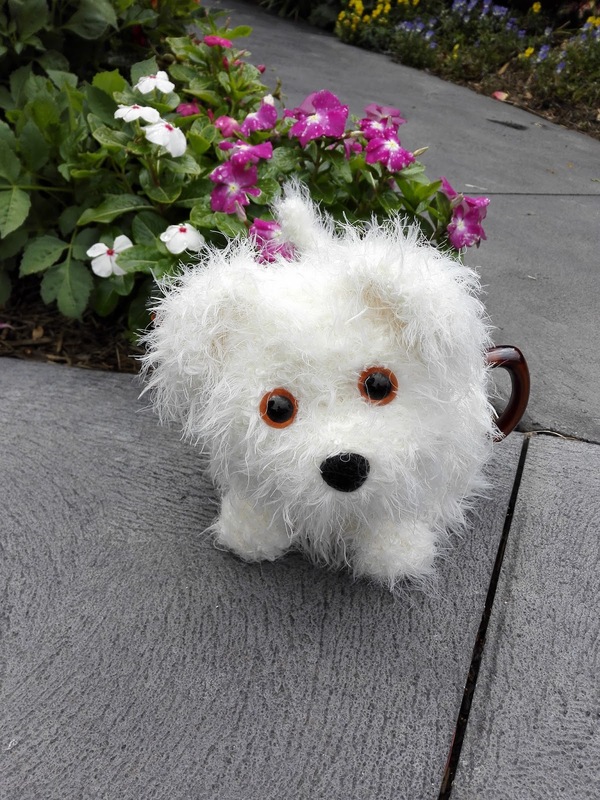 Each one has its own tag with an amusing name and bio for each of the little characters. Very cute, and all sold in a flash. The childrens' prize of a bank account with Bendigo Bank wasn't won...we didn't get any kid's entries this year. People's choice winner is this little pixie house by Joanne Moore. 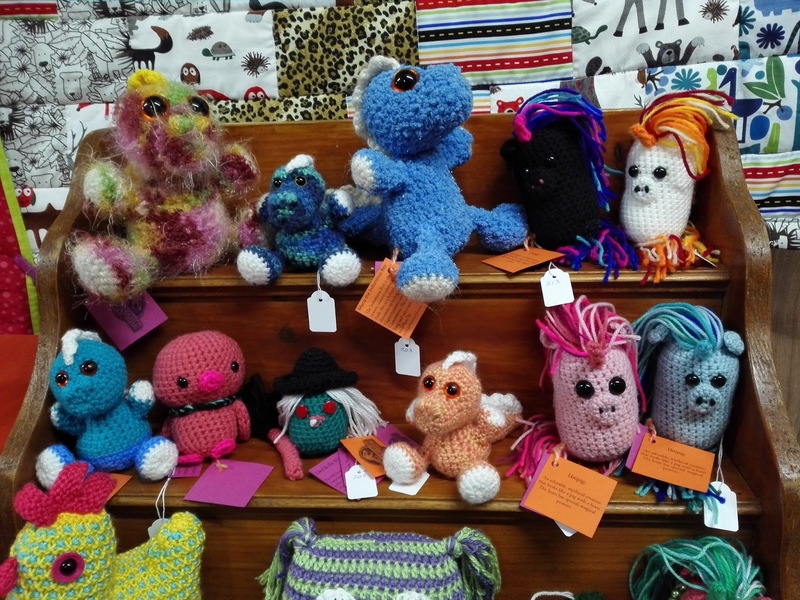 Well done to all our winners, and to all the people who sent in tea cosies and toys.